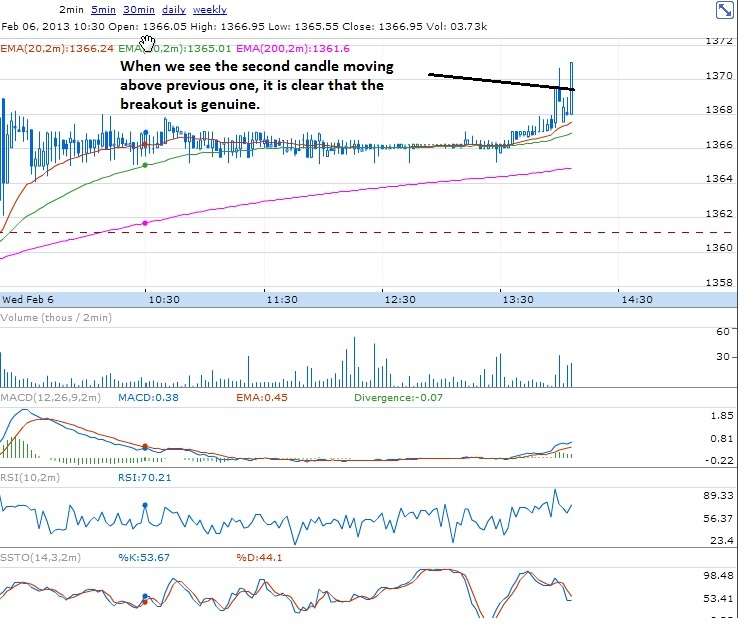 There was a good example of consolidation and breakout today. 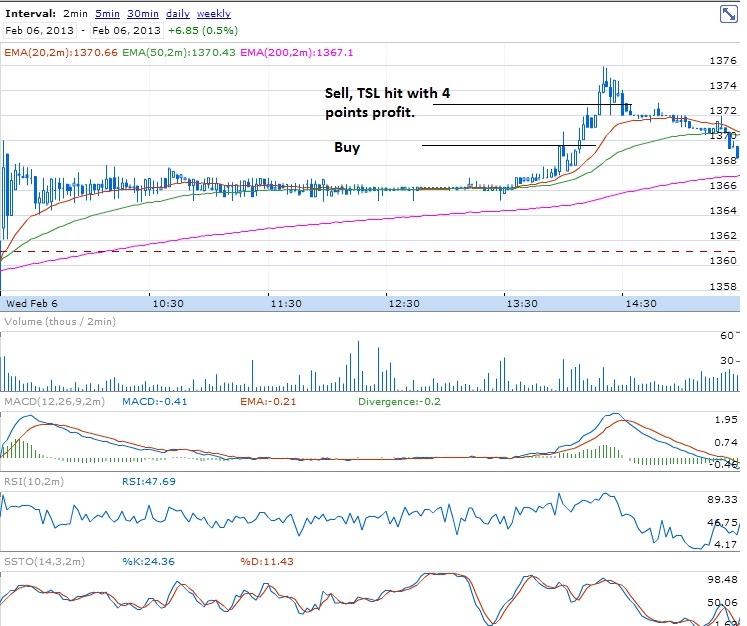 TCS consolidated for a very long time, indicators changed the direction from negative to positive and finally the stock broke out in the positive direction. See the charts at different stages. 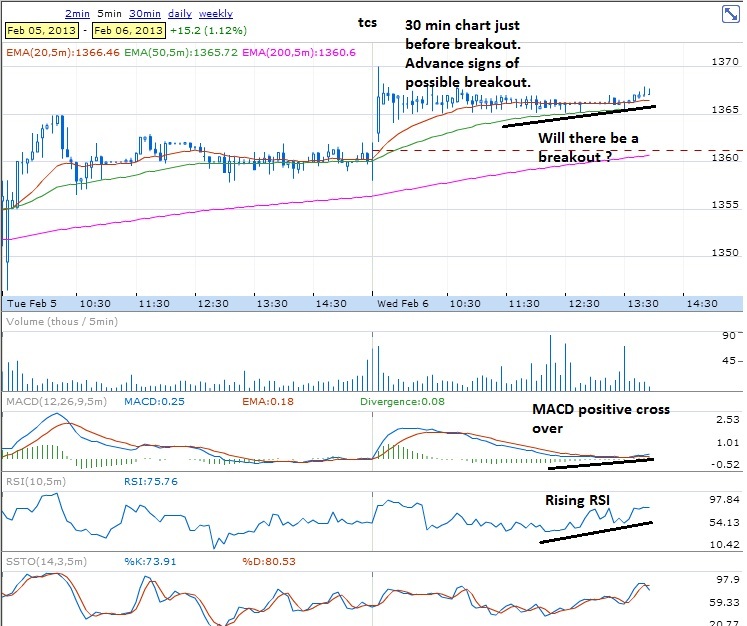 Please read my other posts to understand how to trade consolidation breakouts..
TCS 2 min chart showing breakout. 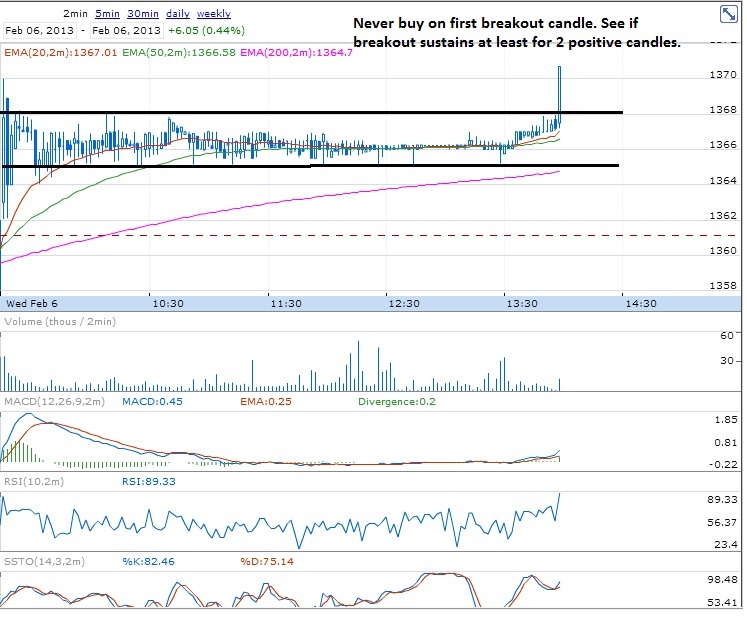 TCS 2 min chart - Breakout confirmed.